You must know that feeling when you write a story about a game in 2014, saying that it will be out in 2015, but is now actually coming out in 2016. Viking Squad is such a game, but raise your hollowed-out skulls to Odin, the game is finally coming October 5th. One of the questions we get most often is why the decision for max three players? This just fit our design so well. First it cut down on the amount of cheap deaths by stream lining the chaos on screen. With three players, each can easily focus on a target without having to worry about being side-swiped by incoming attacks from their partners’ foe. It also reduced the amount of network traffic our game requires, allowing for a smoother online experience. Take on enemies from afar as the archer, play defensive with the shield, get up in your enemies face as the dual axe berserker or beat them to a pulp as the hammer maiden. 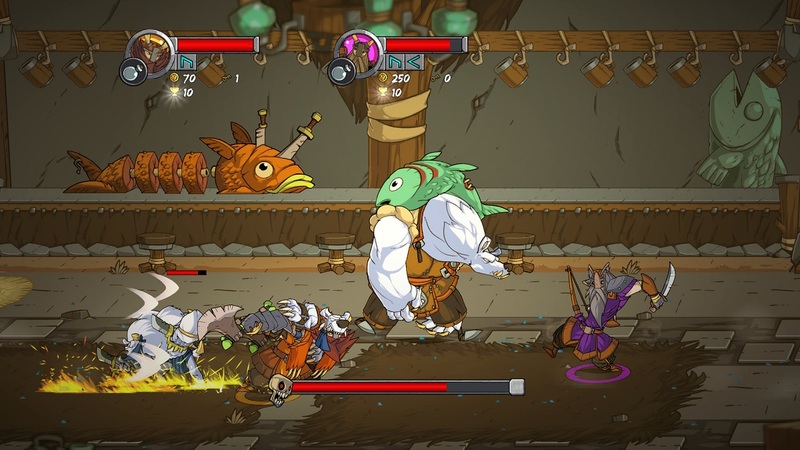 With the game out tomorrow, Viking Squad looks like a nice Castle Crashers style game, but with the grind mechanic, it should offer a different challenge. Page created in 0.9068 seconds.